You know a place is down right awesome when the amazing Will Smith actually writes an entire song on it. So, move over New York, LA and Singapore because we just found the perfect destination for an all-girls trip! No prizes for guessing that it’s Miami! So girls, here are some reasons why you should head to Miami, Florida to weave magical memories. Think it’ll burn a hole in your pocket? Don’t worry, we’ve got you covered! 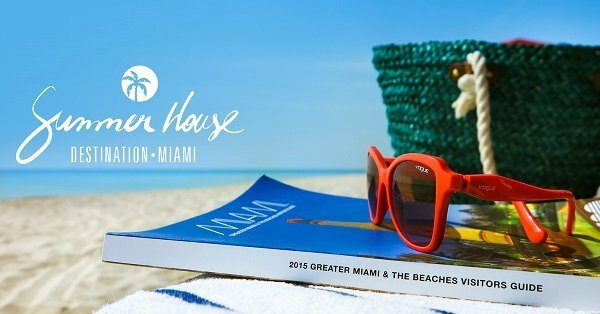 Read on to find out what an absolute bliss Miami is and how you can get there for free! 1. Beautiful beaches, crystal blue waters, and that sunny tropical weather; what’s not to love? 2. Apart from Cuba, Miami is the only other place where you can pig out on authentic Cuban food. 3. If you’re a party animal, then Miami is the perfect jungle for you. Club hopping at 4 am is not just a dream, it’s the norm here! 4. The people of Miami are firm believers in cycling in their bathing suits. So bring out those bikinis girls! 5. Just like India, being fashionably late is the in thing in Miami. So if a party starts at 7 pm, you can easily strut in at 10:30, and no one will mind. 6. Miami is a shoppers paradise. Rest assured that you will be heading back home with a brand new wardrobe. 7. It’s the hometown of Miami Ink. So, if you and your girlfriends are looking to get matching tattoos, then this is the place to be! 8. If and when Miami gets a little too mainstream, you can always book a cruise over a weekend and head to the Bahamas. Yes, it’s THAT simple. 9. It’s the only place on earth where heels are acceptable in a mall and flip-flops are acceptable in a club! How cool is that? 10. A drink or two is perfectly acceptable during breakfast. In fact, the earlier you start, the better it is. 11. Oh, did I mention the boat parties? Boat parties are the bomb and in Miami, they are happening everywhere. So girls, pack your bags and head to Miami! 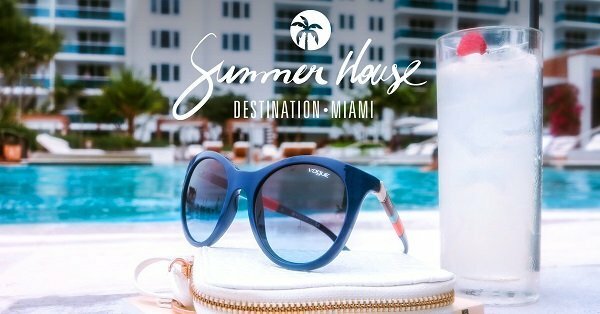 And Vogue Eyewear is bringing you one step closer to making this happen with their Summer House Contest which promises a luxurious vacation with your 3 best girls, and a week of endless fun, sunbathing and relaxation! The cherry on top? A gorgeous villa with a pool, a personal chef to rustle up excellent meals, and your own chauffeur-driven car! Fancy, eh? All you need to do is go here , login or register into Style Miles, clear a bunch of tasks, and score good. If you are lucky enough you might just be able to fly all the way to Miami with your girls!